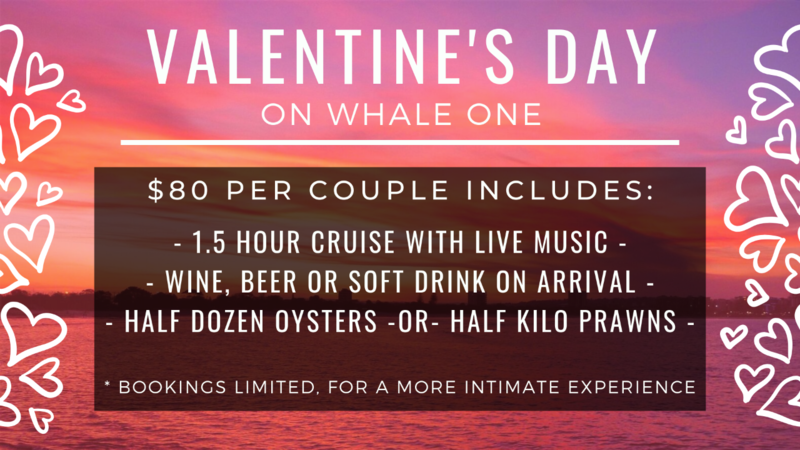 Enjoy some live music on a Sunset Cruise with your Valentine on Whale One. Beer, wine, sparkling or soft drinks on arrival. Your choice of half a dozen oysters or half a kilo of prawns whilst you cruise the Mooloolaba Canals.